I wanted to thank you for all the lovely Anniversary congrats and well wishes, it was so sweet and we appreciated them all! 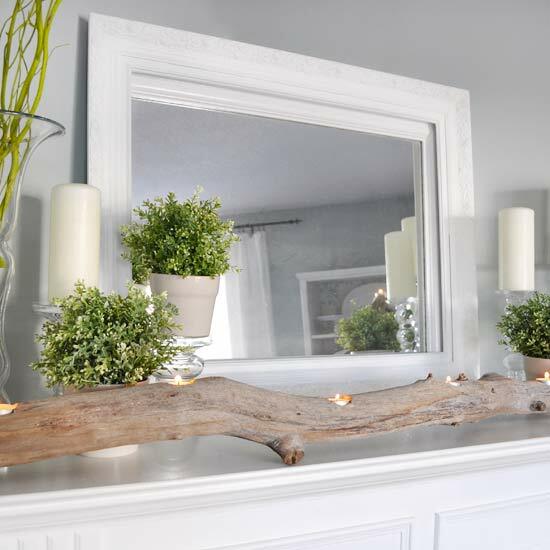 I would also like to thank Better Homes and Gardens.com for featuring my spring mantel from last year on their website. You can check it out here for some great design inspiration! Some of you may have noticed that my blog address has changed back to bringrestoration.blogspot.com. I had tried to log onto my blog a couple of weeks ago and it was gone! My domain address restorationhouseblog.com had been taken over by someone else! Not sure what happened there but I do apologize to those of you who have been trying to find me. I can be reached at the old blogspot address. Congratulations…I did love this mantel when you posted it! More importantly, how did someone hijack your blog?!? That's terrible! I'm glad I didn't lose you, but oh my goodness, to lose all of that hard work would be devastating! Hang in there on that one. Wow you must have been so thrilled !!! Wow, being featured by bhg is quite an honor. Congratulations! You deserve it. I always love your decorating! How exciting! Congratulations – your mantel is just beautiful! That mantle is gorgeous! Fresh, clean and bright: the essence of Spring! OOOH, and congratulations for the feature on BHG! What an honour! OK now I know what happened. There are people that stork servers like go daddy and if you don't renew exactly on time they let others take over your name. Maybe that's what happened. Anyway you are automatically coming up in my blog roll and I will just check on the way out to see if I am following you. So glad you are back as I love your style. Also congrats on the magazine feature. Such and honour.